Six Santander employees from Milton Keynes recently returned from Southeast Asia where they went back to the classroom – but they had to build it first. 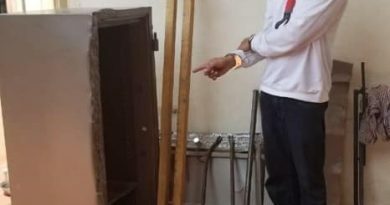 They were part of a 38-strong team from the bank that travelled to north west Cambodia to build five classrooms at Chansar Junior High School, 35 kilometres north of Siem Reap. The school, in one of the poorest areas in Southeast Asia, has an urgent need for extra capacity to increase the opportunities for children’s education in rural areas, which are currently very limited. The pressure on the school’s resources is set to increase even further as the number of pupils is expected to grow from around 430 to around 600 in the next five years. Nick Jones, Mark Richards, Aimee Knapper, Suzie Austin and Marie Griffiths, from the bank’s Milton Keynes head office, spent a week working alongside a local construction team, helping with moving bricks, clearing rubble, digging drainage trenches and laying foundations. Having spent days working alongside the local team, the group then stayed with families at homestays in the village. As well as building five new schoolrooms in Cambodia, the challenge raised over £160,000 to help Age UK and Barnardo’s, the bank’s charity partners in the UK, provide vital support to transform the lives of some of the UK’s most vulnerable or isolated older and younger people. 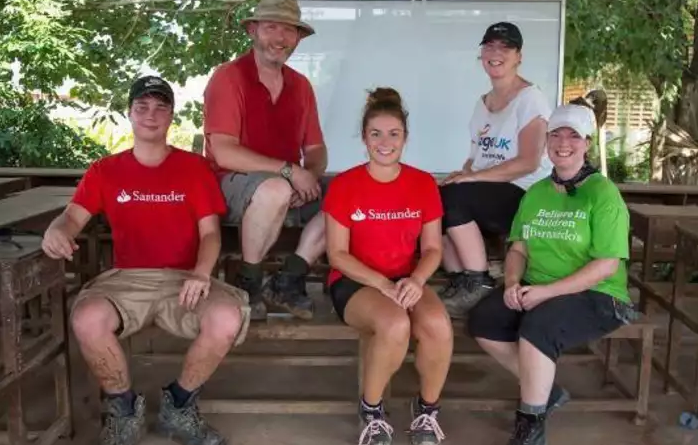 During 2018 Santander has supported a wide range of fundraising activities for the two charities. The bank is on target to provide funding of up to £1.5m for each charity over the course of three years through a combined fundraising and grant programme.